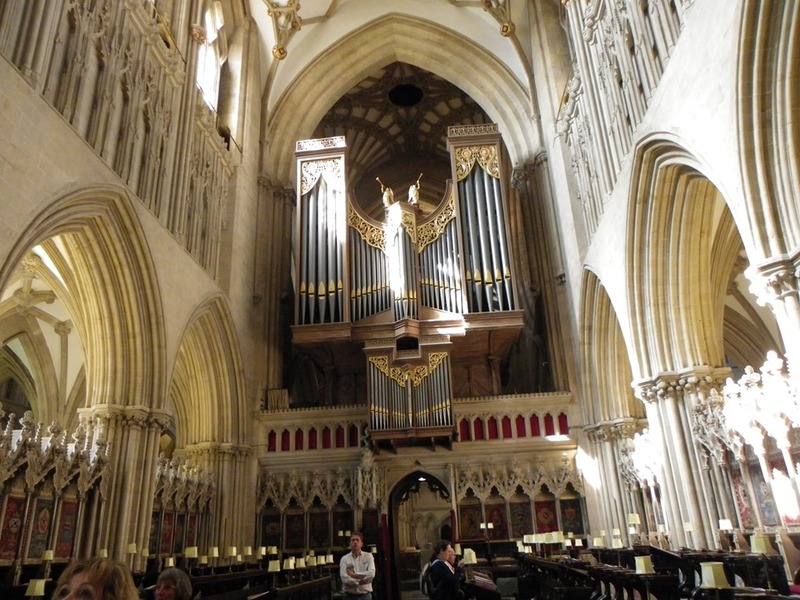 Recently my wife and I paid a visit to Britain’s smallest and I think most pleasant city of Wells in Somerset. 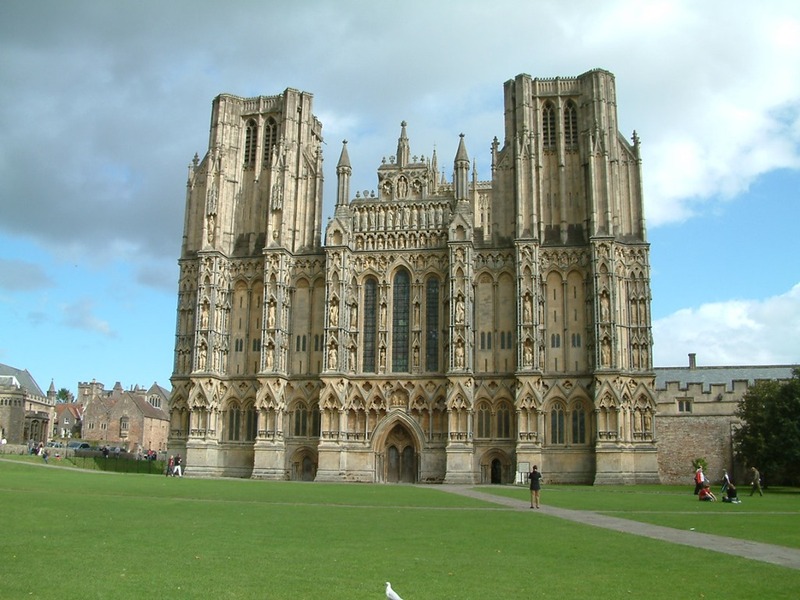 Although deemed a city, Wells is about the size of a small market town and indeed still has a thriving outdoor market held in the shadow of Wells Cathedral. 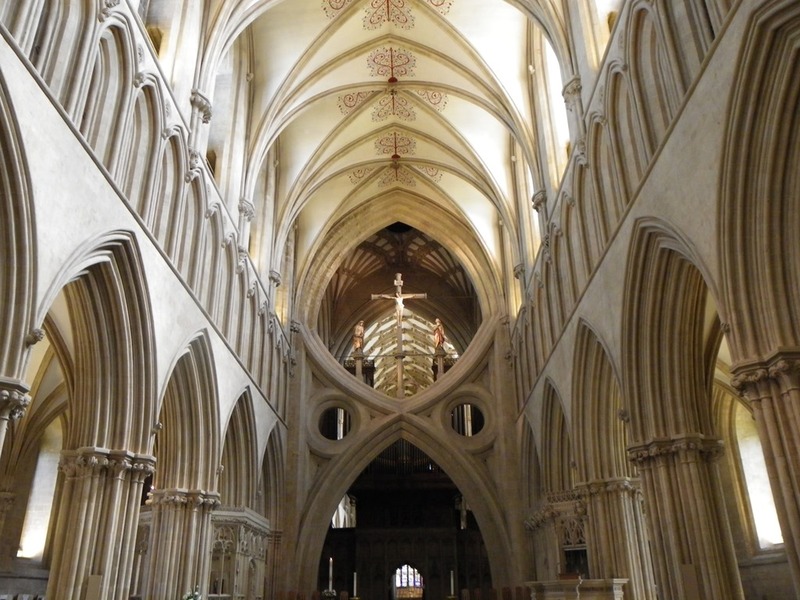 The city is nestled in the foothills of the Mendips close to Cheddar Gorge and derives its name from three freshwater wells. 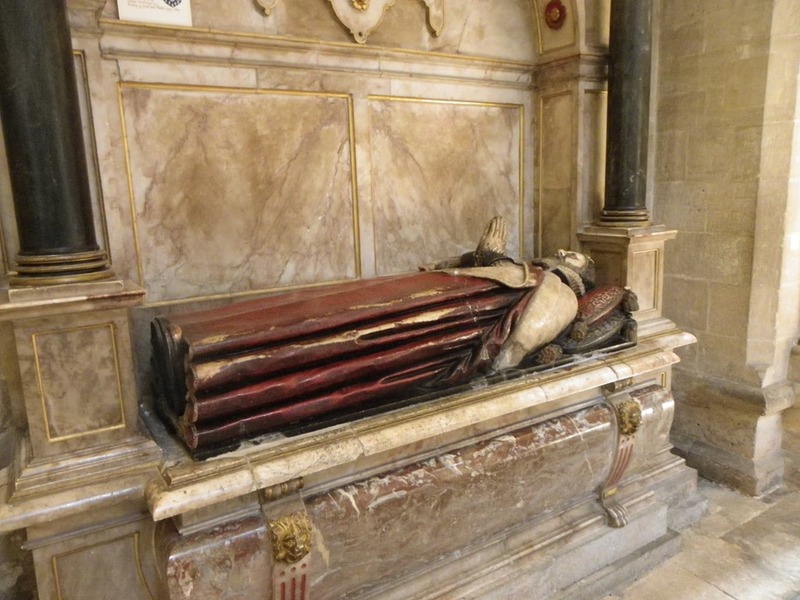 One is located in the market place and is dedicated to St Andrew, the other two are within the adjacent Bishops Palace the traditional home of the Bishop of Bath and Wells. 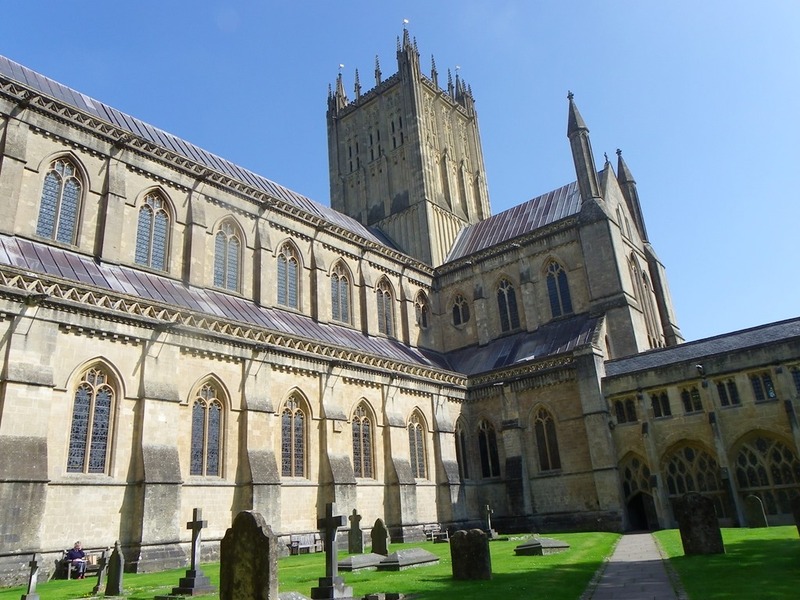 Wells was originally a Roman settlement but started to rise in prominence when the Saxon King Ine of Wessex built a minster church there in A.D. 704. 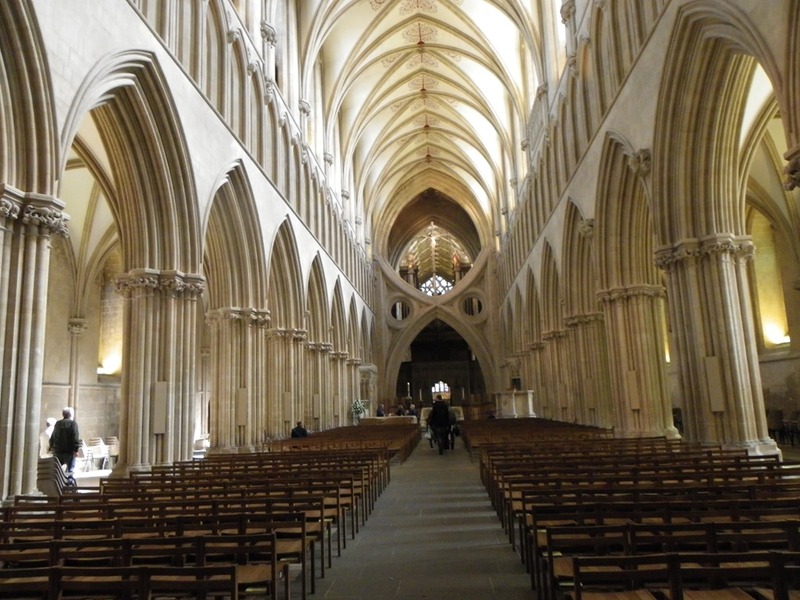 In A.D. 909 Wells became the seat of the newly formed Bishopric of Wells. 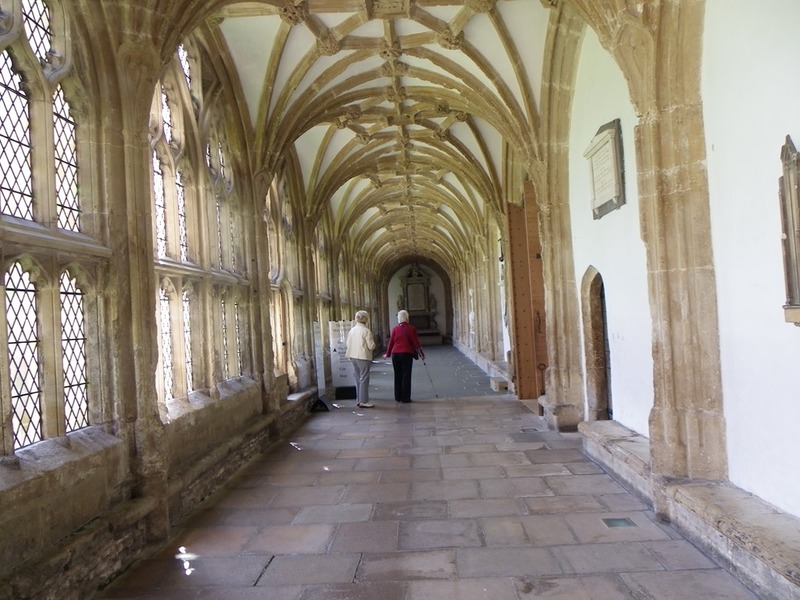 The Cathedral and Bishops Palace were built between 1175 and 1490 with the original Saxon minster church being replaced. 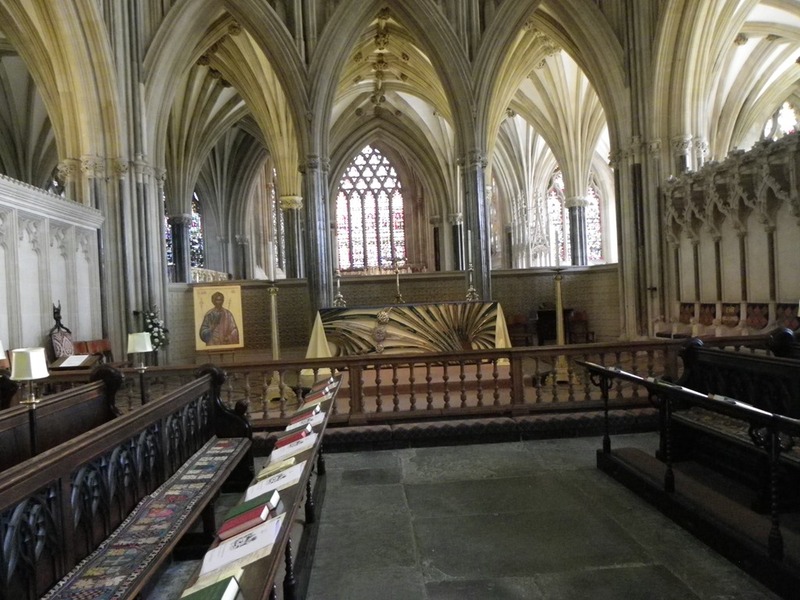 One item that Wells Cathedral is renown for is the 14th century astronomical clock built about 1390. The clock which does not have the traditional hands displays the time. date and moon phase on a series of dials. 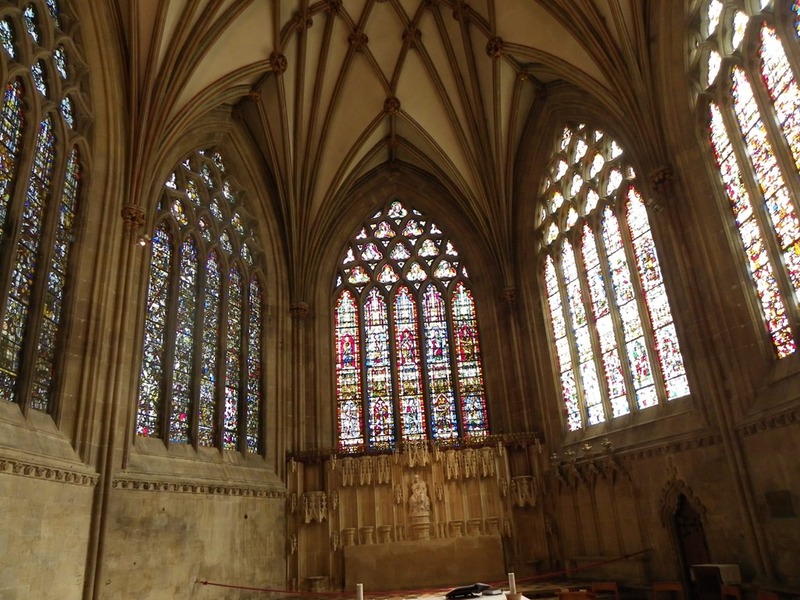 The clock is the second oldest in the UK, Salisbury Cathedral possessing one that was built a few years earlier. On the hour, a seated man to the top right of the clock rings the hours out on a bell and a series of jousting knights facing each other revolve on two turntables above the clock. 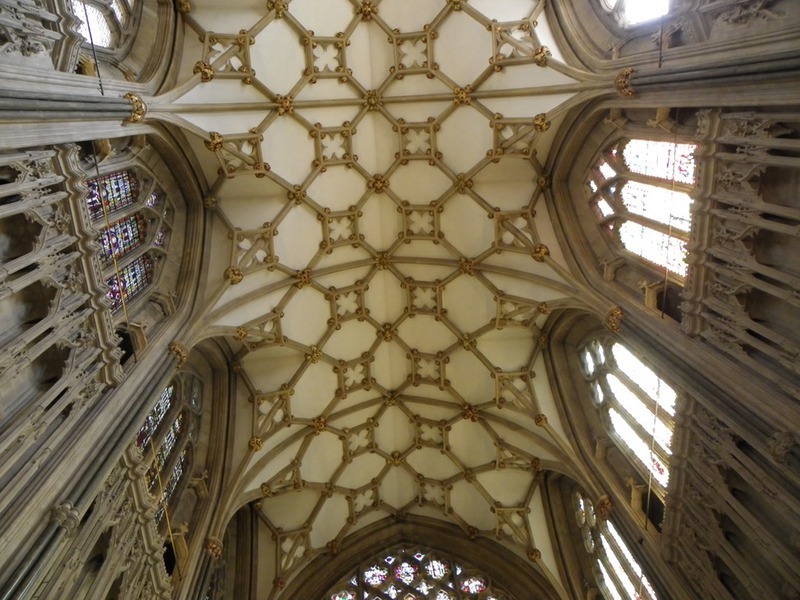 I created a Photosphere of the High Altar to allow viewers a 360 panorama of this part of the building. 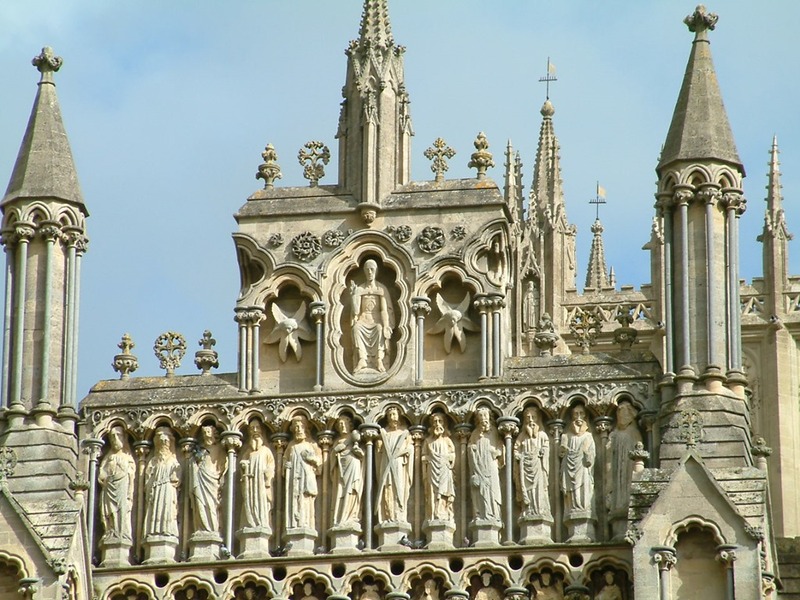 The exterior facade of the cathedral consists of numerous alcoves containing some 300 statues all surmounted by Christ and his disciples. 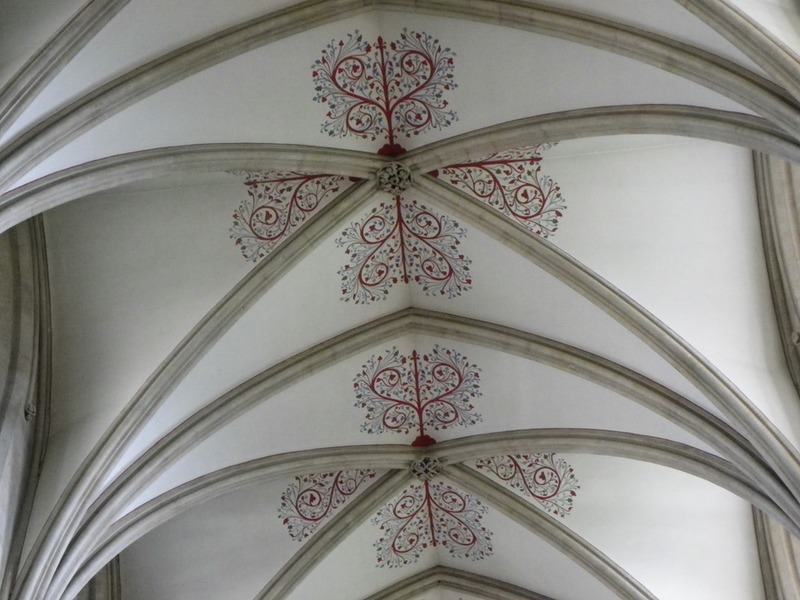 .I have also added below a series of photographs showing others aspects of the interior including the ornate ceilings.